3 - Big Y Fabric Softeners ($2.15 B1G2 Free!) = $2.15 for three. 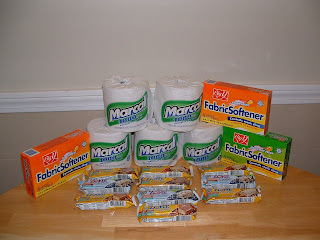 5 - Marcal Toilet papers ($.89 cents ea) used five free up to $1.00 coupons = FREE!